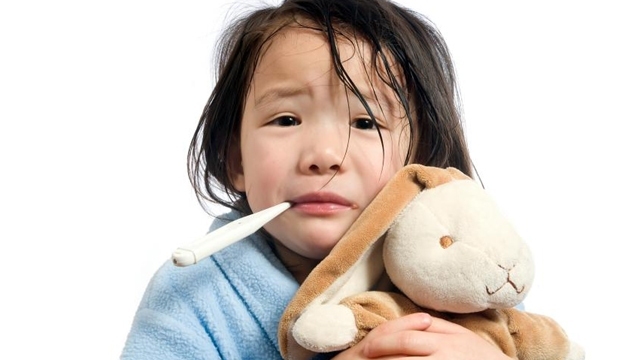 Fever is among the most common sickness for anyone. For babies, it can be troubling especially when the temperature is not dropping and the baby keeps crying. For some parents, fever for the baby is among the biggest nightmare. Fever is a body’s mechanism of a natural defence against an infection. It is the same concept for babies but because an infant’s immune system is not as strong yet, it could cause some complications. Be assured that most fever is not as harmful but in certain conditions, you need to be wary and monitor the situation closely. This means that you must have a reliable thermometer in your home. If your baby is above 6 months old, once he gets a fever, you should bring him to the doctor, to be sure. In most cases, if your baby is going through immunisations, chances are he will get a fever after each one. Another main reason why your baby could get fever is when he starts to teeth. The most common way to know if your baby has fever is by touch. You will be able to tell the difference of the body’s temperature. For babies below 3 years old, feel the brow or the back. When he is sweaty or flushed cheeks (which he usually don’t), then, it could be a clear symptom. That is when you need to use a thermometer. If the thermometer shows anything between 36 and 37 degrees Celsius, then it should be normal. Anything higher than that would be fever. Giving your baby medication is the best way. Make sure it is prescribed by the doctor. Then, give your baby lots of water. If he is breastfeeding, try to keep it at regular times. Taking solids might not be viable but small amounts would do. Dress him in comfortable clothing. If medicine does not work and the temperature continues to increase, then you might need to use a cold water-soaked towel to cool him down before seeking more medical help. If he is drinking lesser than normal or have sunken fontanelles, then it could be due to dehydration. Meanwhile, if he gets rashes or skin conditions, then, it could be something else.